Our cozy studio apartment offers a kitchenette, seating area, large spacious bathroom and plenty of closet space. Bathroom features a walk-in or roll-in shower equipped with stability handles. 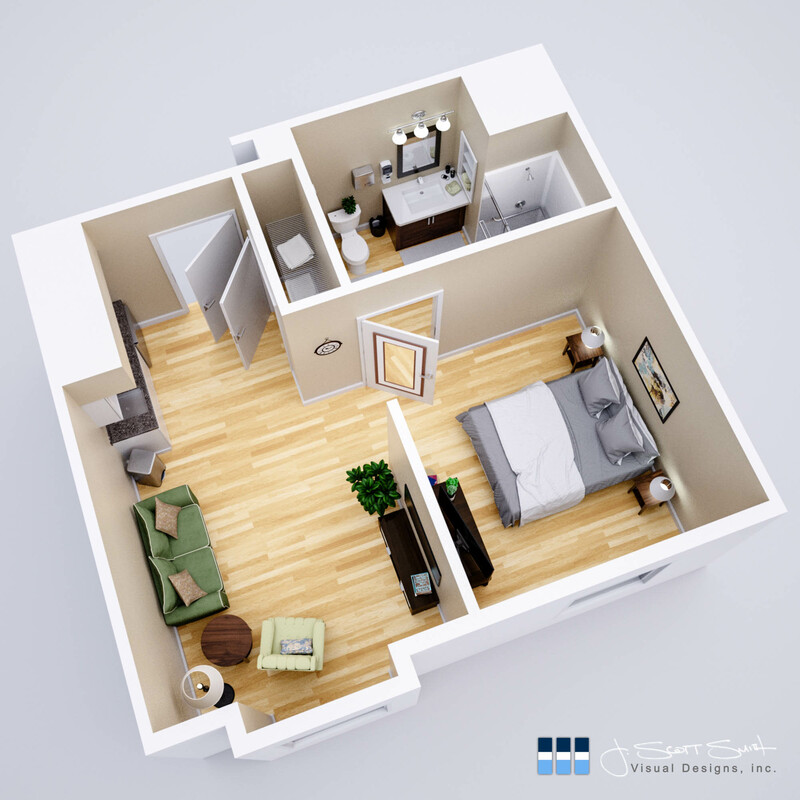 This layout is compact but efficient creating a perfectly sized space for one with all the comforts of home. This spacious one bedroom apartment features two distinct and generous sized living areas. The open living room provides comfortable seating space, a kitchenette, a private bedroom and a large bathroom with walk-in or roll-in shower. 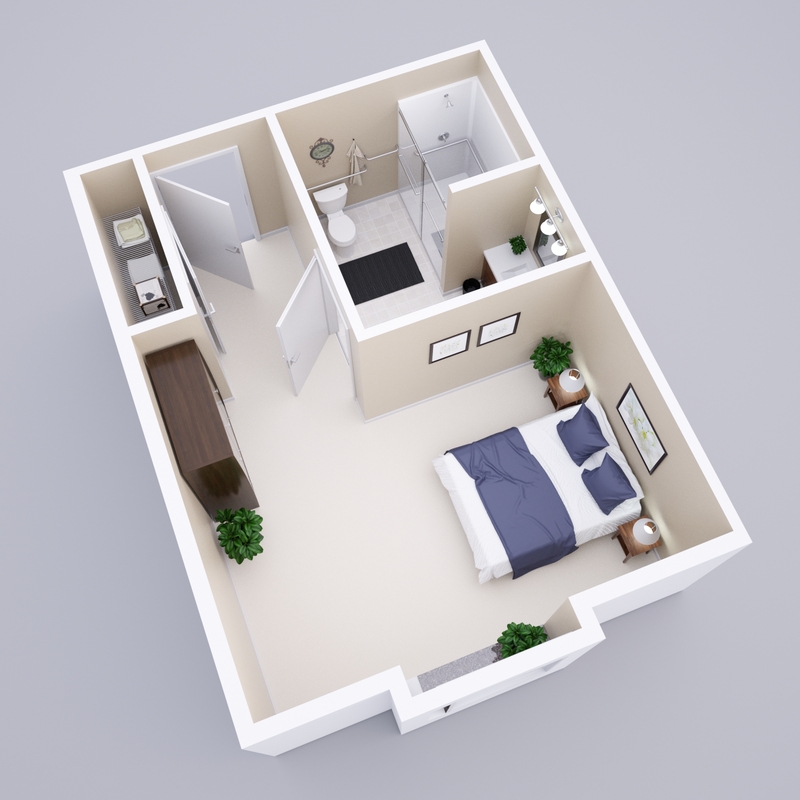 The additional living space in this layout creates a true sense of home and makes it an ideal solution for many. The perfect layout for two, this apartment offers two private bedrooms, a living room with attached kitchenette, and a large bathroom with walk-in or roll-in shower. 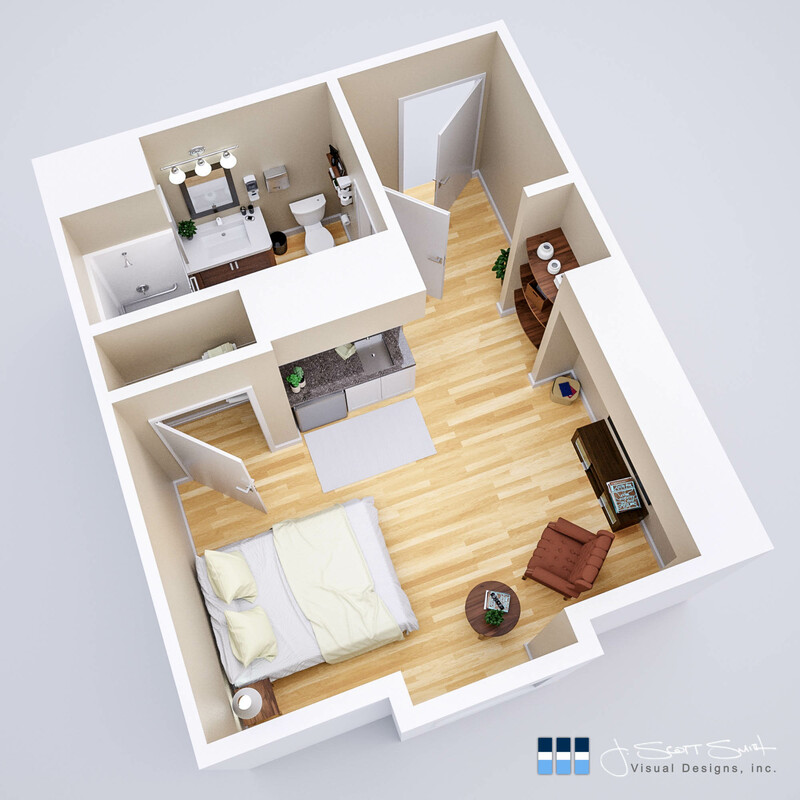 Our 2 bedroom is an attractive option for a couple or for roommates who can share an apartment while maintaining a personal space. 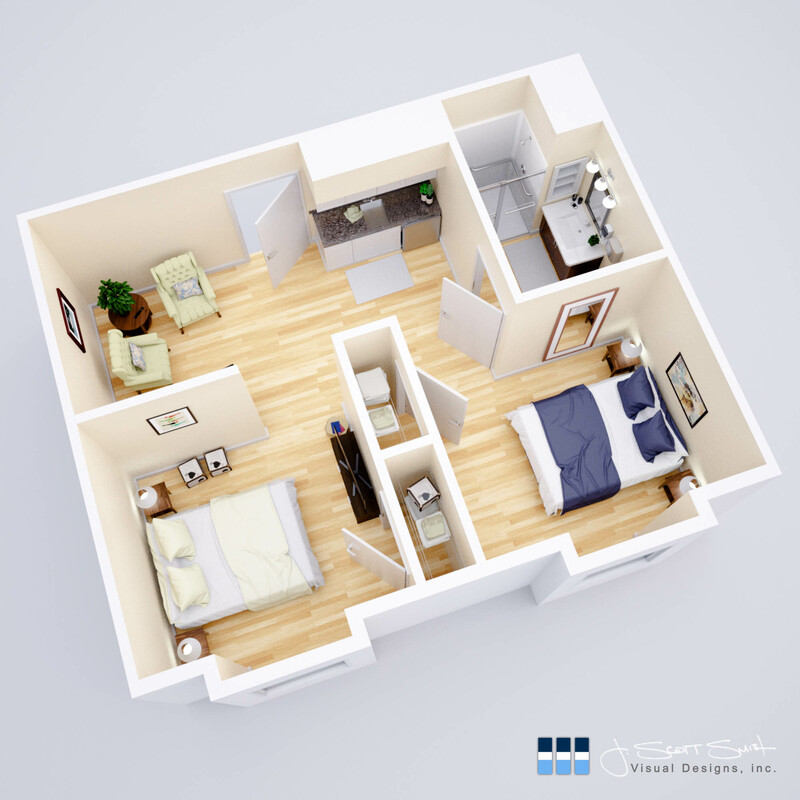 This studio apartment is designed for our memory care community. The layout is perfect for mobility with a large walkway, bathroom, walk-in or roll-in shower, and bedroom/living areas. Efficiency meets balance in this harmonious space for memory care residents.